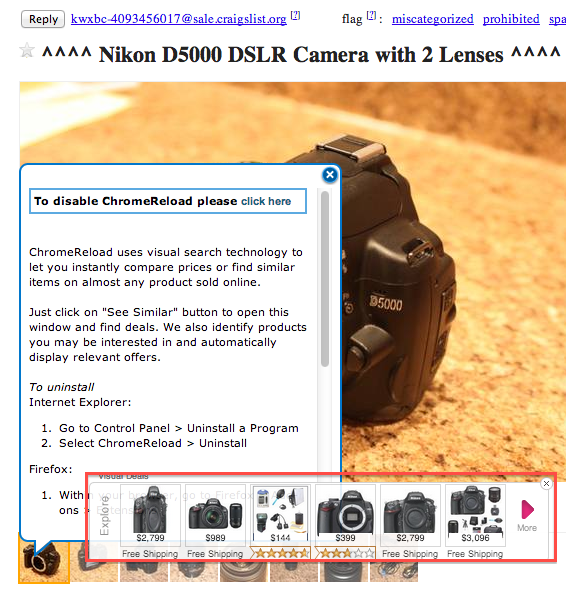 A couple of days ago, I started noticing a little popup when I visited online stores.. Amazon, Craigslist, eBay.. even Google keyword searches seemed to trigger product placement ads, even though I consistently use AdBlockPlus..
First of all, upon Googling this issue, I came up with this article, which stated that it was probably the “Translate selection” extension. I did not have that installed, so I had to find another reason why this damn thing was loading. I did remember that Pinterest’s “Pin This Button” pinged me a couple of days ago, telling me that it was going to start advertising in-app. I guess I just assumed that if I logged into Pinterest.com it would start showing me ads… not necessarily embedding them in my searches! 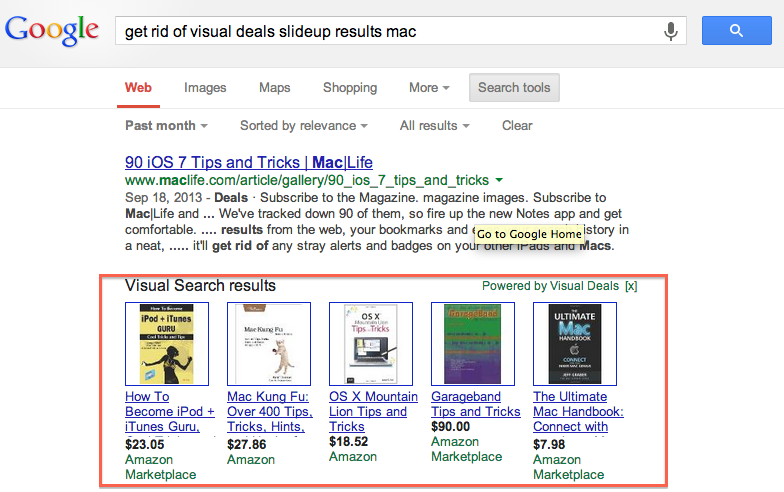 A new tab/screen should pop up that says that Visual Deals product search is: enabled. Simply click that “Change” button to disable it. Let me know if this works for you in the comments–or if there are other Chrome Extensions we should all be weary of!